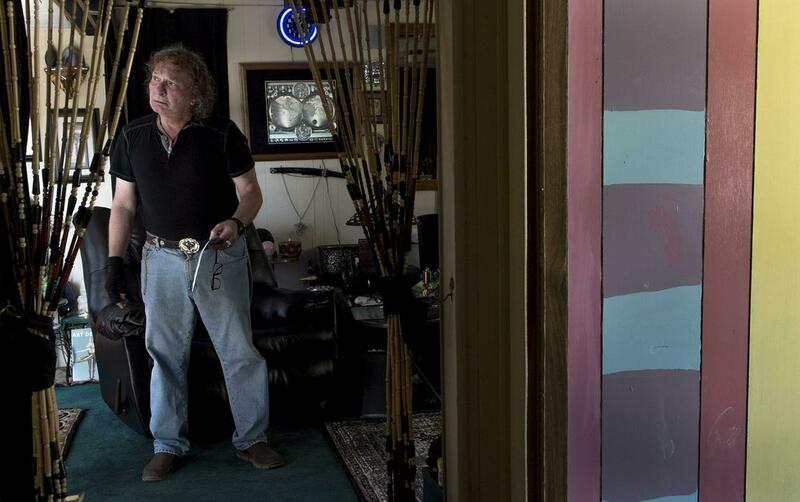 Virgil Edwards has labored to make his manufactured home comfortable and attractive. He put long hours into the landscaping and whimsical decor, and figured it was worth something – a few thousand dollars, at least – as he prepared to move on. 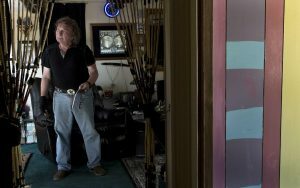 But Edwards, 66, was disheartened to learn he’ll have to pay to move or tear down his home in the Hidden Hills mobile home park along Interstate 90 between Coeur d’Alene and Post Falls. After living there over 10 years, Edwards told the park’s new owners last month he plans to move into a house he’s having built. He also informed them he had a potential buyer for his 38-year-old mobile home. A few days later, they gave him a notice to remove all his personal property, including the home, by July 1. So rather than selling his home to the new tenant for $3,000, as he had hoped, Edwards said he’ll go in the red to get it out of there. Karen Rupiper, who owns Hidden Hills with her husband, Doug, declined to say why they don’t want Edwards’ home to stay in the park with a new tenant renting the space. The dilemma is especially bitter, Edwards said, because he was tapped to accept a Fair Housing Month proclamation from the Coeur d’Alene City Council on Tuesday night. Edwards is an independent living specialist with Disability Action Center NW, a nonprofit group that advocates for the independence and equality of people with disabilities. Edwards is channeling his anger and frustration into a call for local ordinances or state legislation to give mobile home park residents some protection from sudden financial hardship. He’s especially concerned about his neighbors – some are elderly or disabled – at Hidden Hills. With no housing authority in North Idaho, Edwards reached out for help from the Intermountain Fair Housing Council in Boise. Alison Brace, legal coordinator for the council, told him the agency will look into his circumstances. “We can possibly assist someone who finds themselves in a situation such as yours, or someone who feels discriminated against in any situation, but we are limited in what we can do,” Brace wrote Edwards. Edwards’ quandary is peculiar, said Alan Wasserman, managing attorney in the Coeur d’Alene office of Idaho Legal Aid Services. Someone who wants to buy a mobile home and reside in the park where it’s located first must apply to be a tenant there, and the landlord must consider the application using standard tenant admission screening criteria, Wasserman said. If problems arise, typically it’s when the landlord determines the buyer doesn’t qualify as a tenant, maybe due to poor credit, he said. “And then the question becomes whether the landlord is reasonably denying tenancy to this prospective buyer,” Wasserman said. Edwards said the man who offered to buy his home decided not to apply to live there after learning that the landlords want the house gone in 90 days regardless of who owns it. Idaho state law says a landlord cannot require a resident to remove the home from the lot solely on the basis of the sale of the home. Edwards said he wasn’t given a reason for the notice to remove his home, and he doesn’t understand why the owners of Hidden Hills wouldn’t welcome a new renter for his house. But seeing all the new apartment buildings springing up nearby in the Seltice Avenue corridor, he assumes they want to free up the property for some type of redevelopment. Karen Rupiper said he’s wrong about that. Edwards is free to sell his home, Rupiper said, but she wouldn’t reveal why they don’t want it to remain. If he had known that would be their response, he wouldn’t have spent $3,000 on appliances for his new house, Edwards said. Instead, he would have moved the old appliances from his mobile home. Since he was going before the City Council anyway, Edwards asked if he could talk about his situation. Mayor Steve Widmyer said he sympathizes with him. “I can see Virgil’s point. If he wants to get rid of it, it’s probably going to cost him a few thousand dollars,” Widmyer said. Other mobile home residents find themselves in similar tight spots when their homes can’t be moved because of the age or condition, the mayor said. “This is inexpensive housing for people that don’t make a lot of money,” he said. Widmyer said he’s not sure what the city can do about it. Hidden Hills is just outside city limits, but there are several mobile home parks in Coeur d’Alene. “I just need to do some homework to see what we can do with a city ordinance to help these folks out,” he said. Edwards said once he frees himself from his financial pinch, he’s done with mobile home parks. “I’ll never live in a trailer again as long as I live,” he said.